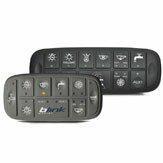 All the innovation of a Blink Marine keypad minus the cost and complexity of a digital system. 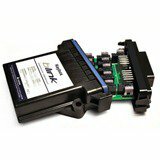 Compact and versatile, CAN-bus relay module by Blink Marine offers innovation on board in addition to aesthetic and functional benefits. 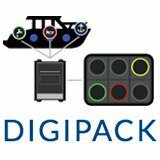 Keybox is the CAN bus relay module for electric loads that Blink Marine, a Milan (Italy)-based company, is betting on to extend the use of its digital keypads in the industrial automotive and nautical industries. We met with Gabriele Stefanini, Blink Marine’s technical director, who oversaw the various phases of the Keybox project from its initial design and development to a commercial phase scheduled to start in November 2014. Tell us more about Keybox… First of all, what is it? 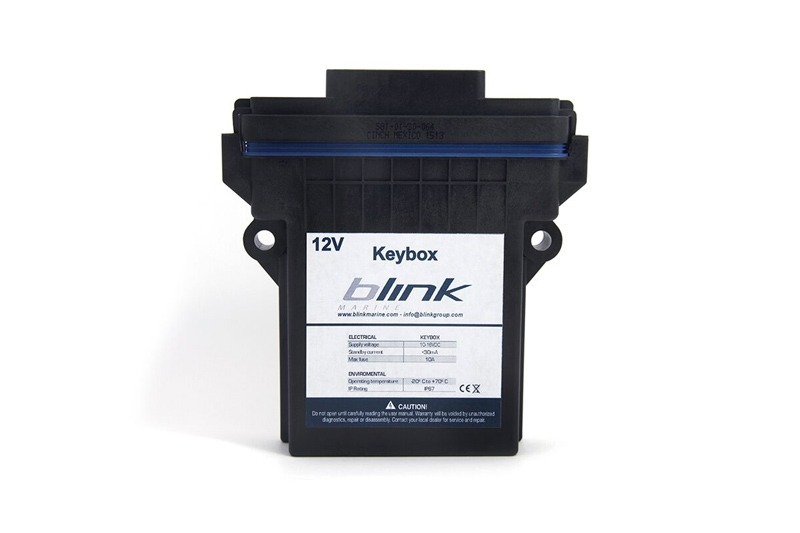 Keybox is a CAN bus relay module for electric loads designed specifically for use in vehicles and boats. In other words, it is a relatively small device (roughly 14 x 13 x 3 centimeters) which, once it’s connected to various utilities (lights, electric motors, bilge pumps, mechanical arms), allows you to use Blink Marine keypads in the Powerkey and Powerkey Pro series to command them. 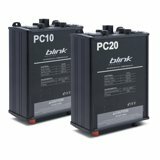 It comes equipped with 13 contacts, to which any electric device can be connected: a simple light, the bilge pumps / the solenoid of a hydraulic actuator (for example the arm of an excavator), a flashing alarm light, an agricultural instrument and more. We wanted to offer the market a device that would make it possible to utilize Blink Marine keypads even where there were no complicated and expensive digital systems, and make it possible for the person installing it to use the device without having to perform any ad hoc programming. Which markets is the device intended for? Keybox is an extremely versatile product. In general, it was designed for producers, outfitters and anyone who owns a boat or vehicle that they’d like to make more innovative without spending an arm and a leg. 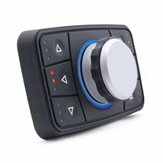 But it can also be offered on the retail market, in other words to anyone who simply wants to substitute old onboard switches in his vehicle or boat with a Blink Marine keypad. What advantages does a digital keypad offer when compared with simple switches? First and foremost, I’d say it offers an aesthetic advantage: the keypad is undoubtedly a more compact, better organized object that is appropriate both for high-tech command consoles and for more elegant bridges, thanks to the fact that it can be installed as a rear panel. It also offers enormous advantages in terms of dependability and durability: first of all because it isn’t exactly easy to find an IP67 switch; second because any keypad, above and beyond its eventual protection from dust and water, is more long lasting simply because it doesn’t have any moving parts that are easy to wear out. A switch has springs and levers – components that can easily break down or wear out over time. Keypads have “dome switches,” which have been tested to over three million tries. All of our keypads are IP67, a standard we inherited from our work in the nautical sector, but is equally appreciated in the agricultural and industrial sectors as well, not to mention for worksite and earthmoving machines. Imagine we were to open up the Keybox… What would we find inside? No need to use your imagination: the Keybox is easy to open, something that should be done in order to do required maintenance, for example to substitute a fuse (which the client can do on his own). In any case, inside the IP67 body you’ll find an electronic circuit board that can hold up to thirteen On/Off relay switches with automotive fuses that can handle loads of up to 10 amperes. It’s connected to one or more Blink Marine keypads via a communications BUS. Whenever someone presses a button on the keypad, the message is sent via the BUS and the Keybox reacts according to how it has been configured. Furthermore, the Keybox also sends a return message to the keypad that turns on or off the indicator LEDs present on each button. That’s undoubtedly true, but this may be an advantage too… Let’s say it’s like using a tablet instead of a desktop computer: some complex functions are too much for the tablet to handle, but you gain something in terms of portability, cost and ease-of-use. For some people, all three are all convenient advantages… In reality, thanks to its CAN bus interface, Keybox can also be used with complex systems. In this case it’s no longer a controller, but in “slave” mode for high current connections. Any need for feasibility studies prior to installation? Almost none: the Keybox can work with any vehicle or boat; all it needs is a battery (and we need to know if it’s a 12V or 24V model) and to be connected to the outputs which, as we noted earlier, can run up to 10 amperes. Even from a software point of view, you only need a few simple instructions on how to configure the various buttons and… It’s ready to go! Will an end user or end client be able to install a product like this on his or her vehicle? What kind of skills do you need in order to install the Keybox? The cables are simple to use, because the connectors can be crimped without the help of any special tools. I wouldn’t go so far as to say it can be done by just anyone; but a smart, capable electrician with no more than a year’s experience shouldn’t have any problems at all. Is this a product that Blink Marine intends to sell “keys in hand,” or does it require some customizing by the end user? Blink Marine supplies a product that is ready for installation. The software programming is tailored to the client’s needs, so the client gets to decide the kind of iteration required (toggle, dimmer, momentary) for each button … This is a fundamental aspect from a cost reduction point of view as well. For example, if we receive a request for a Keybox paired with a keypad like the Powerkey Pro 2200 (four buttons), we build it with just the 4 relay switches required. This way the client is only paying for what he uses. Decisions concerning the configuration are made the moment the order is placed.